The Colca canyon in southern Peru is the deepest canyon in the world (4160 m), which is almost twice as deep as the American Grand Canyon. 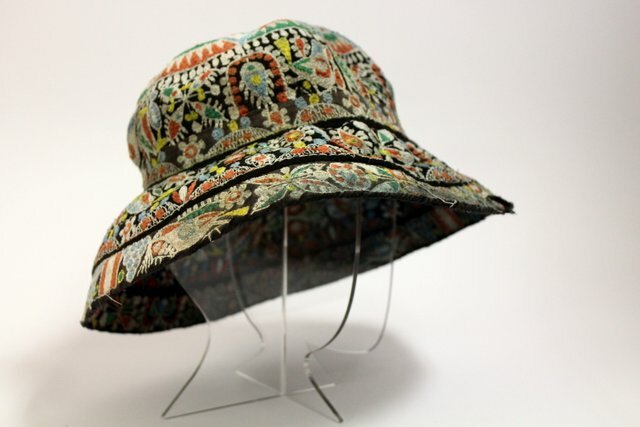 The local Quechua Indians prefer to wear hats that we in Russia call Panamas. 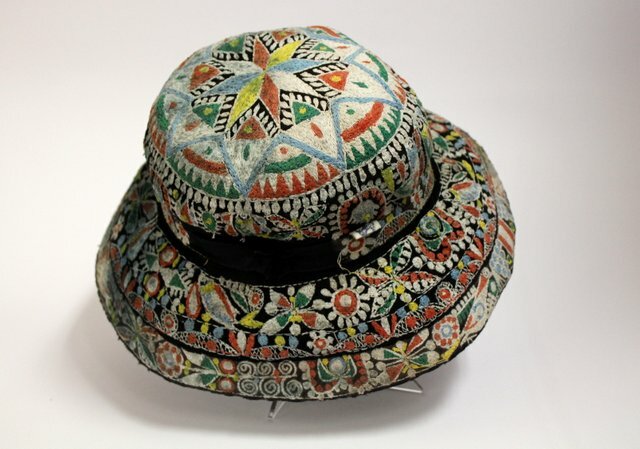 However, unlike our ladies wearing panamas while taking sun baths on the beach, women in Kolka spend several months embroidering their hats with numerous and colorful designs across the surface. 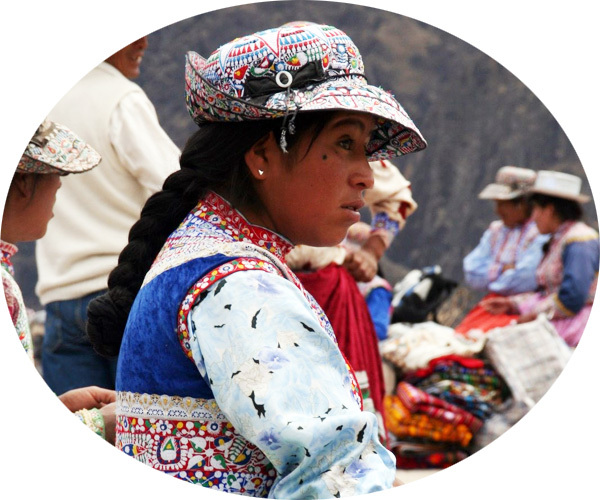 Panama is usually worn with slopped down brims, but for elegance they can be folded up in the back (as pictured), freeing lush braid.